San Juan Capistrano is an excellent place to visit and learn about the history of south Orange County in southern California. SJC has something to offer for all ages. San Juan Capistrano is a beautiful area of Orange County, California and is home to the Christian mission, Mission San Juan Capistrano. The mission was founded in 1776 and, at the time, was populated by the “Acjachemen band of Native Americans, called Juaneños by the Spanish.” The mission was named after Giovanni da Capistrano. 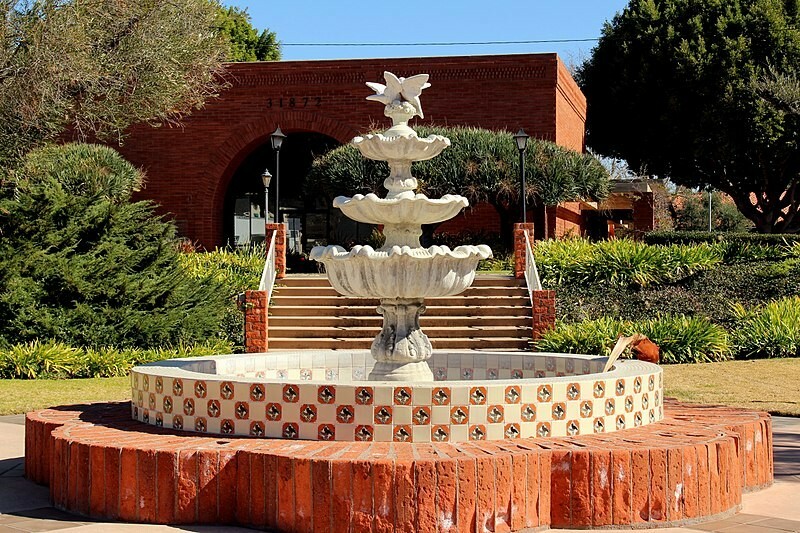 San Juan Capistrano is home to Los Rios, one of the oldest residential neighborhoods in California and the Serra Chapel, the oldest in use building in California. The Serra Chapel is the site of the first vineyard and winery in California. San Juan Capistrano is known for its cliff swallows (the swallows originate from the town of Goya, Argentina) that come visit the city every year (around March 19th.) 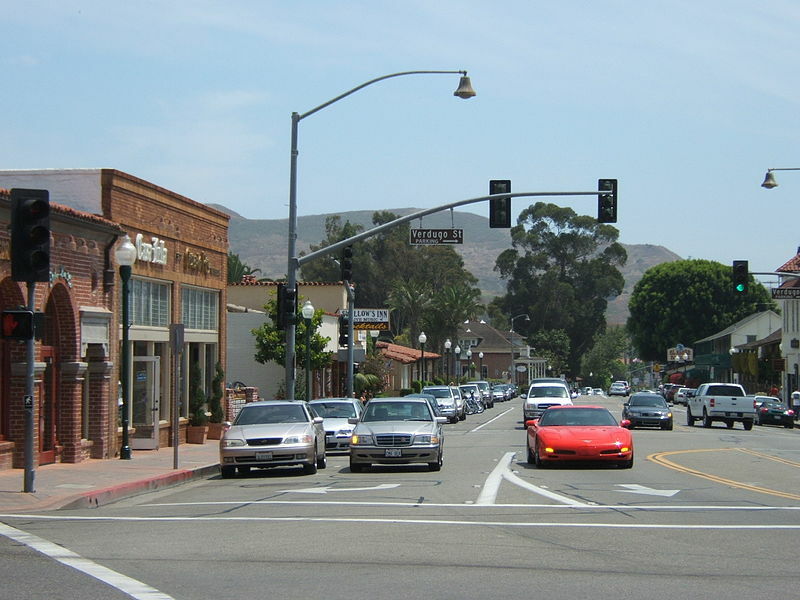 San Juan Capistrano is a neat area to check out the next time you find yourself in south Orange County. San Juan Capistrano is great because you can spend a few hours learning more about the mission in south Orange County, while not being too far from Capistrano Beach in Dana Point. The seating at The Vintage is extremely unique. Guests have the option to dine in a 1927 fully restored Pullman car or the art deco main dining room, equipped with triple-arched windows to watch the trains pass by. Guests also have the option to order from the 1887 Freight House Bar or sit in the covered patio. The Vintage is proud to offer an extensive selection of delicious wines, champagnes and specialty drinks. The menu at The Vintage is full of exquisite items, making it nearly impossible to make a wrong choice. Appetizers include classics such as shrimp cocktail and mussels paired with manila clams. The Vintage also puts a spin on certain appetizers such as mesquite charbroiled goat cheese tomatoes, house smoked trout and the mushroom selection of the day. Entrees include a selection of tender steaks, bone-in smoked pork chops, roasted lamb chops, mesquite chicken, salmon or the Australian cold water lobster tail, which is oven roasted. But wait, there’s more. The Vintage also offers a fantastic rotating dessert menu with a great selection of delectable items. The Vintage is a must when visiting San Juan Capistrano. The cuisine at The Vintage is simply amazing. The mission was originally built as a “center for agriculture, industry, education and religion by Spanish padres and Native Americans.” Another purpose of the mission was to lengthen Spain’s “territorial boundaries and to spread Christianity to the native peoples of California.” In 1845, the mission was sold by Governor Pio Pico, to his brother-in-law, John Forster. “For the next 20 years, Mission San Juan Capistrano would be turned into a private ranch property owned by the Forster family.” After California became a state in 1850, the Catholic Bishop of California, Joseph Alemany, fought for the mission to be returned to the Catholic Church. President Abraham Lincoln returned the mission to the Catholic Church in 1865. In the 1870s and 1890s, artists, photographers and visionaries started to settle in the mission. 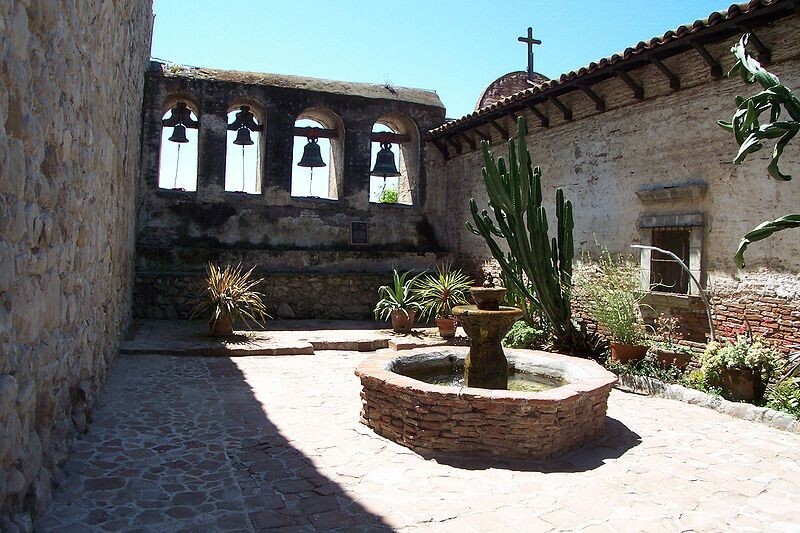 Today Mission San Juan Capistrano “is a cultural destination experience, a place of inspiration, education and preservation and serves as a vibrant place of ongoing learning and worship.” Mission San Juan Capistrano is a beautiful piece of history and is open daily from 9:00 am – 5:00 pm. Mission San Juan Capistrano is ranked as #1 on “Things to do in San Juan Capistrano” on TripAdvisor. 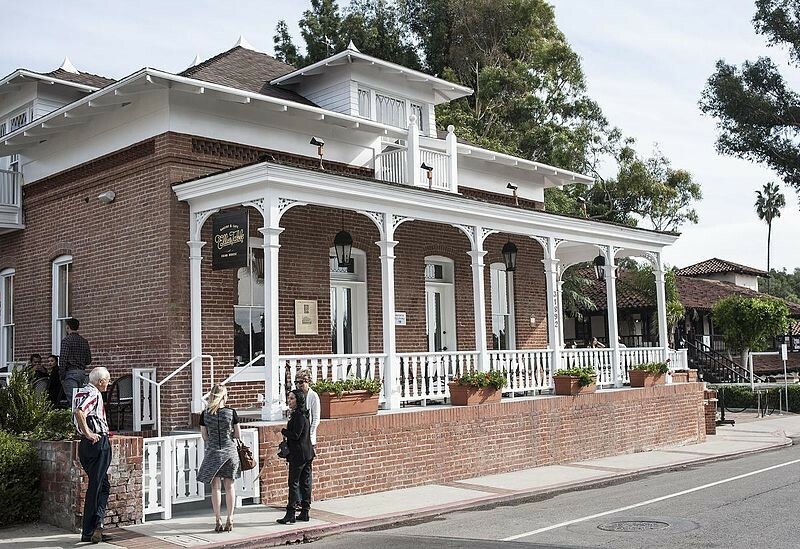 The Richard Egan House is located in downtown San Juan Capistrano. The house was designed and built by Richard Egan, who would later became the city’s judge. Richard Egan was born in Ireland and went to school in New York. Egan loved the city of San Juan Capistrano so much, he built a house and made SJC is permanent home. The Richard Egan house was originally built in 1883 as a one-story home. The house was destroyed in a fire and rebuilt in 1898. The house was built with Victorian Architecture “with brick walls and a white wooden patio porch.” At one point in time, the Richard Egan House served as a courtroom in San Juan Capistrano. Today the building is home to Ellie’s Table, a breakfast restaurant. As you enter the building, you can see the many artifacts from San Juan Capistrano’s early 19th and 20th century history. The Richard Egan House was added to the National Register of Historic Places on January 17, 2017. Zoomars Petting Zoo in San Juan Capistrano is the perfect family destination, especially for families traveling with younger children. Zoomars is a fun-filled destination with lots to do. Zoomars is proud to have different farm animals that you can hold, pet and feed including, pigs, sheep, goats, horses, llamas, bunnies, emu, cows and chickens. Your young ones will love Carolyntown and all the activities it offers such as the Kiddy Train, Corn Box and Hay Maze. Children are encouraged to visit Miner’s Gulch and mine for gold, gemstones, fossils, ancient relics and “other ancient treasures.” Zoomars also offers horseback riding and a Western-themed playground. Zoomars is also a great place to throw birthday parties, as they offer special birthday packages. Zoomars also holds special events on Valentine’s Day, Mother’s Day, Easter and Father’s Day. San Juan Capistrano is a wonderful little city that should be on your bucket list. Whether you plan to stay for a few nights or just the day, SJC is a terrific family destination for a getaway.